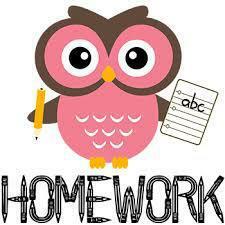 Homework will be given out each Friday and will be collected in Each Wednesday. There will be English, Maths, Spellings and times tables. It is important that homework is completed each week and handed in on time. It is also important to be reading for at least 10 minutes each night and having your reading record signed.